Despite being a fan of theirs for some time, there were many things I never knew about Bike Friday - until, deep into my two months review process, I chanced to discover them through dialogue with the Oregon-based small wheel bike manufacturer. One such piece of trivia, is that the company's co-founder, Alan Scholz, is also the inventor of the Burley Trailer. In one fell swoop, many of my questions about the Haul-a-Day's origins were answered. 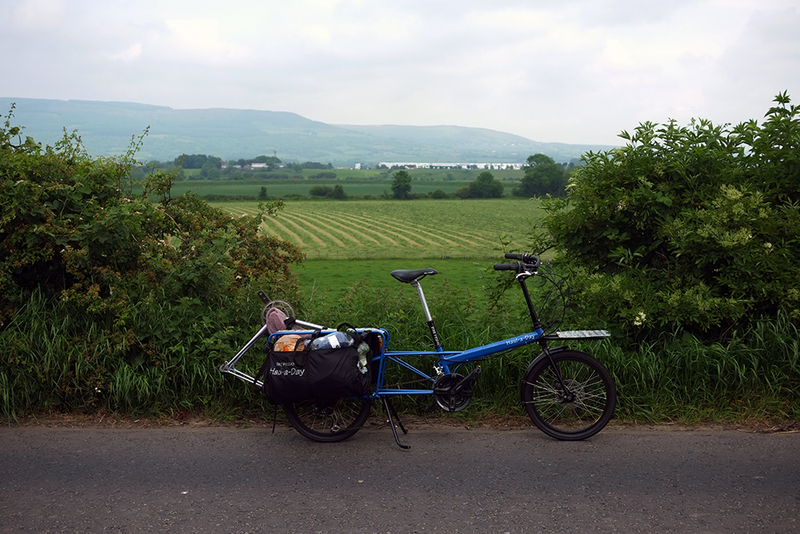 A trailer and a folding bike designer! No wonder he saw fit to add a cargo hauling model to Bike Friday's lineup. The development of the Haul-a-Day now seemed not only logical, but inevitable. I only marveled that it had not happened sooner. But the specifics of this bike coming into existence are a rather interesting "it takes a village" story. 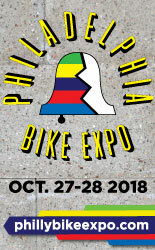 In 2014 Bike Friday was approached by Shane MacRhodes, founder of Kidical Mass and local Safe Routes to School Coordinator, with the idea of making a versatile bicycle on which his instructors could lead their Safe Routes classes. The design criteria presented an interesting challenge: In addition to being well-balanced and nimble, the bike needed to be able to haul the instructor's personal gear, plus traffic cones and safety gear, with room to carry a tired child and their bike as well, if need be! Of course the bike also needed to fit a wide range of riders, as the Safe Routes instructors varied in height and weight. After several iterations and glowing reports from the field, Bike Friday decided to offer this machine as a standard production model. 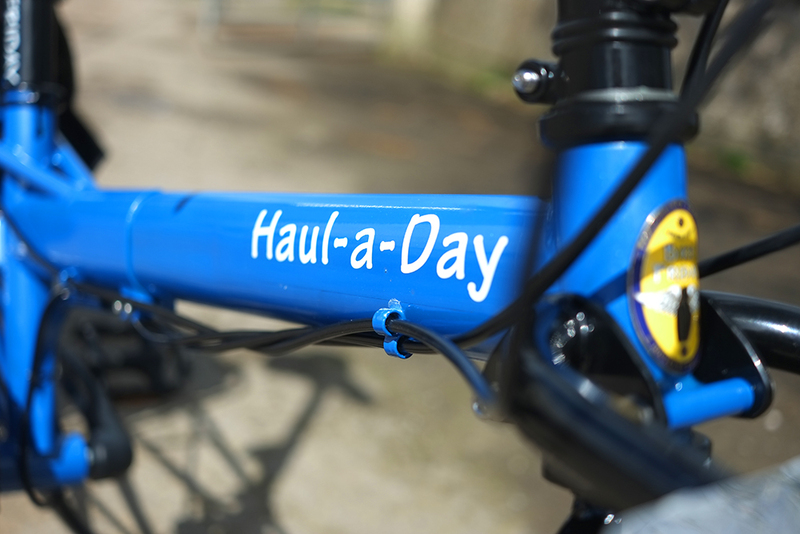 This was funded by a successful Kickstarter campaign in late 2014, and the first bikes were delivered in February of 2015 - named the "Haul-a-Day" by a pun-loving customer. "We were surprised to realise that for many situations the Haul-a-Day was a better solution than a trailer for carrying children and things. [Our founder] has been designing and building trailers for decades starting with the Burley child trailer in the 70's. It took customer request for the bike to help him discover this new insight." This type of customer-driven evolution has always been part of Bike Friday's modus operandi. Nevertheless, the engineering and design that went into this machine on their end are not to be underestimated. In the course of using this bicycle, to say that it outperfomed my expectations would be more than fair. As I mentioned in my introduction to the Haul-a-Day it was loaned to me specifically to test in a different context from the usual use case scenario of their first wave of customers, which has largely involved short distances, an urban or suburban setting, and the transport of children. 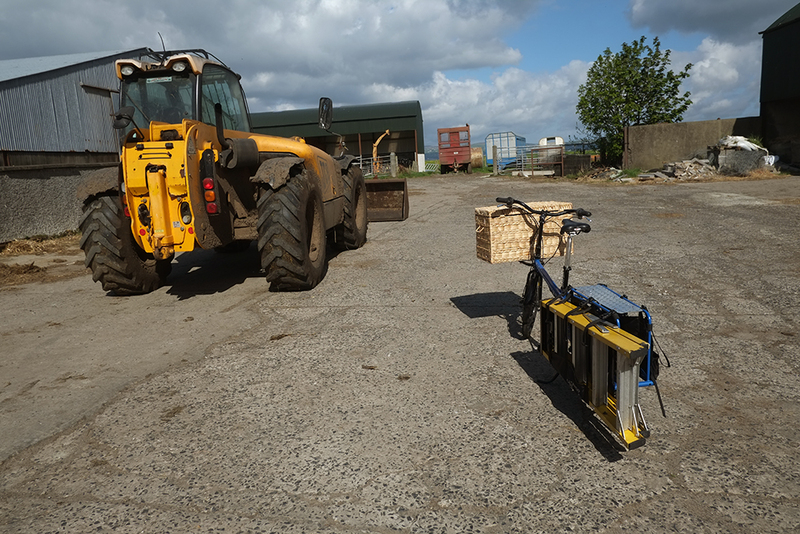 By contrast, my use case scenario involves no heavy-duty or living cargo, but instead long distances, rural settings, challenging terrain and blustery weather conditions. So the focus of this review is not so much the Haul-a-Day's ability to carry impressive amounts of stuff (which has already been well-documented elsewhere), but of its suitability as hilly, long-distance transport. There is a lot of debate regarding whether a cargo bike - long tail or otherwise - can be a realistic option in such a setting without motor assist. Bike Friday believed their Haul-a-Day model potentially could be. And they wondered whether I would agree. I had this bicycle on loan for a total of two months (May and June 2016). In the course of this time I used it as I would have used my own cargo bike - riding it whenever its hauling services were required. I am sure I'm forgetting something, but that is the gist of it. The frames are built in-house with a mixture of 4130 cro-moly and DOM tubing, using a combination of brazed and TIG-welded construction. Dimensions of the virtual head tube, seat tube and top tube lengths vary hugely as a result of the bike's adjustability. Depending on setup, the Haul-a-Day is suitable for riders 4'6" - 6'4", which is an uncommonly versatile range. An interesting aspect of the Haul-a-Day's geometry for me is the high-trail front end. As I mentioned in my initial post about this bike, in looking for a suitable basket for the front platform I accidentally overdid it and found this monster of a thing - which, amazingly, not only fit within the space between platform and handlebars, but, filled with all manner of inordinately heavy objects, had no effect on the bicycle's handling what so ever. While it is commonly said that low trail geometry is preferable for carrying front loads, the Haul-a-Day's impreviousness to weight in the front confirms my own experience in this regard - which is that the manner in which the weight is secured, and the height at which the weight sits, play a bigger role in its effect on handling than frame geometry. The Haul-a-Day's frame-mounted front rack design and small front wheel make carrying even significant amounts of weight in the front feel absolutely normal. 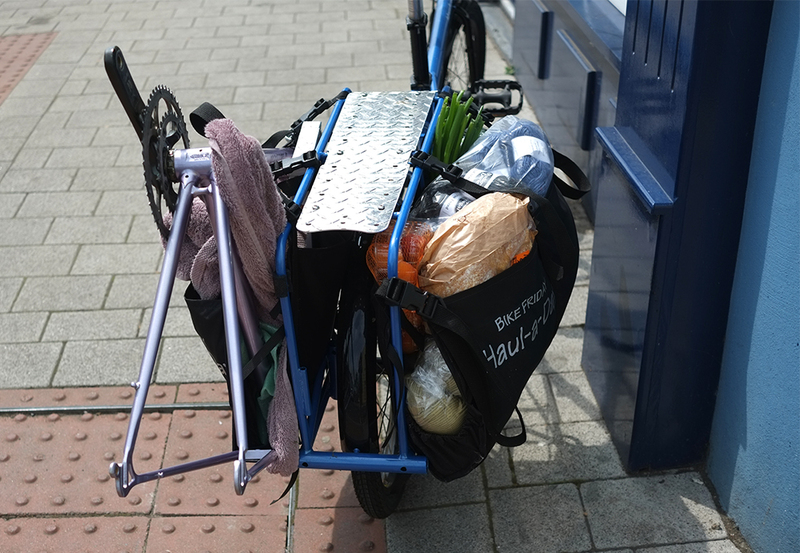 In fact, I liked being able to load up that huge front basket so much, that I eventually had to remove it from the front platform, so as to force myself to rely more on rear carry - which is, after all, what this bicycle was designed for. And in response to my question whether Bike Friday would ever consider a front-load bakfiets model? Unfortunately it's not on their list of priorities just yet! To start with the large and awkwardly shaped objects, in the course of my testing the Haul-a-Day these have included partially assembled bicycles, large picture frames, pieces of furniture (chair, coffee table), a step-ladder, some long-handled mops, et cetera. While carrying such things on the small-wheeled Haul-a-Day makes for an entertaining spectacle, from the cyclist's standpoint it is a non-event. Such objects fit easily into the long, expandable, hammock-like side bags, and secure tightly with the help of the built-in adjustable straps (no additional bungee cords necessary). And as they're not especially heavy, just bulky, their weight wasn't really enough to make any impact on the Haul-a-Day's handling or speed. In short, nothing to report here, other than the fact that such objects can be carried with the same easy abandon on the Haul-a-Day as on other long-tail Xtracycle-style systems. Considerably more noticeable was carrying a bunch of individually unremarkable objets that added up to a lot of weight. I described the experience in detail here, but to summarise: loading the rear with 50kg of weight had a tangible effect on the bicycle's speed and handling. The bike felt noticeably slower to accelerate on flats (although, once up to speed, it could keep rolling along fairly zippily), and required considerably lower gears to push uphill. I realised soon enough, that when using this bike heavily loaded I needed to factor in for longer travel times. But the most challenging aspect of riding it up steep gradients in a heavily-loaded state, was that the front end would start to "wander," at times dramatically. This took me some time to get used to! But once I did, it too was manageable. Starting on a steep hill is not something I often need to do in the course of my commutes (rural area = no stop lights! ), unless I deliberately stop the bike for some reason. But on occasion it does happen, and so with the Haul-a-Day I did it deliberately a few times just to see how it would go. Admittedly, getting the heavily loaded bike rolling from a dead stop on a steep gradient took some nerve. The front-end weaving was in full effect, and I just basically had to convince myself to keep pushing until the bike felt stable. Which I did. And it did. None of this is at all unusual or surprising when it comes to carrying this much weight, all concentrated in the rear of a bike. And the Haul-a-Day is not immune to such effects. Although I often also make shorter trips through the day, my typical commutes are 7-12 miles in distance, each way, over rolling hills, with some fairly steep gradients thrown in. On my request, the Haul-a-Day I received to test was set up with upright handlebars - to give it the comfort of a casual utility bike, but with a wide 3x8 gear range, including a sub-1:1 gear ratio. In this configuration the Haul-a-Day performed on par with some of the faster, lighter, and more nimble utility bikes I have tried. It wasn't unusually fast compared to a typical upright bike. But, despite its long size and small wheels, it wasn't any slower either. Unless I rode it loaded up with a great deal of weight, I basically would not know I was riding a cargo bike. This, in combination with its smooth and cushy ride quality over rough roads, made for an exceedingly pleasant and relaxing ride through the rural countryside. And as far as the rate of swallowing miles, I got the distinct feeling, that the limiting factor was not the Haul-a-Day's cargo-bikeness, but its upright position. Had I requested to set this bike up with drop bars, I suspect my experience would have been considerably different. At no time was this feeling stronger than during windy conditions. I have whined about this before, but basically this year has been the windiest year since my move to Ireland, with winds of over 20mph all through the day not being uncommon. Over the winter this became such a frequent occurrence, that I simply wasn't able to commute on an upright bike at all for a couple of months. And even though such days became less frequent by the time I received the bike in May, they still happened occasionally. And, lovely as it was, the Haul-a-Day set up with upright handlebars was not immune to the wind, the ride quickly turning from a pleasant glide to a snail-paced torture session whenever the wind would pick up. 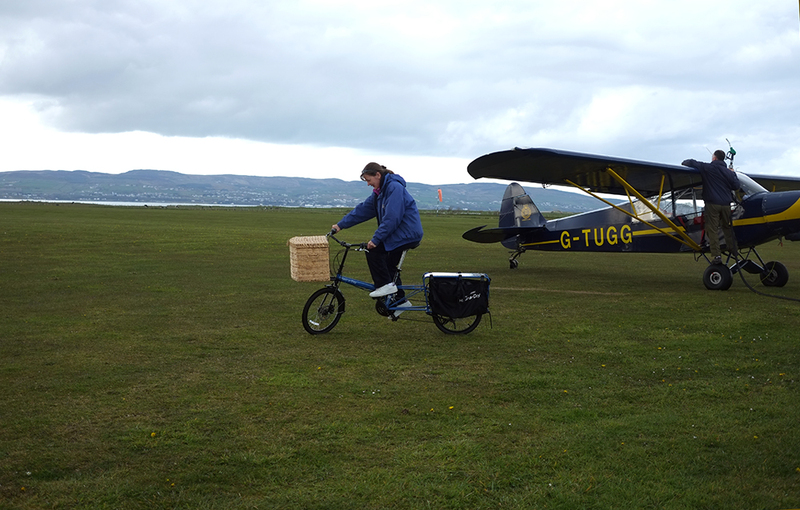 I quickly realised, therefore, that if I wanted a cargo bike I could ride every day no matter what the condition, while continuing to live in the northwest of Ireland (the windiest part of the country! ), it would have to be set up with drop bars. My biggest fear of disappointment with the Haul-a-Day was in terms of how it would climb. In practice, however, this proved to be a non-issue. When loaded with the fairly modest amount of weight I would typically carry on the bike, it was almost disappointingly easy to tackle the 14%+ grades I encounter in the course of my transport cycling. The gearing the bicycle came with felt more than sufficient. I never felt the need to stand out of the saddle. And I did not find myself wishing for motor assist. On the several occasions when I carried a truly heavy load at the rear, the bicycle did lose its momentum much easier at any hint of an incline and required considerably lower gears to propel up long hills comfortably. Even then, however, I never experienced "running out of gears" to the point where I had to walk, stand up, or even feel sufficiently strained to curse at the bike half-heartedly. As mentioned already, the front-end weaving uphill of the heavily loaded bike did take me some getting used to. But get used to it I did, and it eventually just became part of its personality. As a cyclist already accustomed to long distance, hilly commutes - I found the Bike Friday Haul-a-Day, loaded with up to 50kg of weight, to be quite manageable. It was reassuring to learn that a cargo bike exists that is very much compatible with my requirements without requiring e-assist. However, should I ever decide to order a Haul-a-Day for myself, I believe it would be a must to set it up with drop bars, owing to the wind factor. Aside from the aspects of performance covered above, I enjoyed the way the Haul-a-Day handled in terms of its maneuverability, especially in combination with the way it rolled over unpaved terrain. Despite being a long tail cargo bike, the small wheeled Haul-a-Day rode like a nimble, maneuverable machine, taking tight corners easily and feeing "unfellably" stable, even for someone with comparatively poor balance skills, such as myself. Another thing I cannot praise enough, is this bicycle's luxurious ride quality. Having only tried one other Bike Friday before, which was the One Way Tikit, I can say that the Haul-a-Day is a completely different animal. And I don't think this is due to the fat tyres alone. It is likely that the extended frame and the more rearward location of the back wheel, provides additional dampening benefits. Whatever combination of factors is responsible for it, they definitely got the cush factor spot on with this model, which makes it a pleasure to ride over roads of any quality and texture. 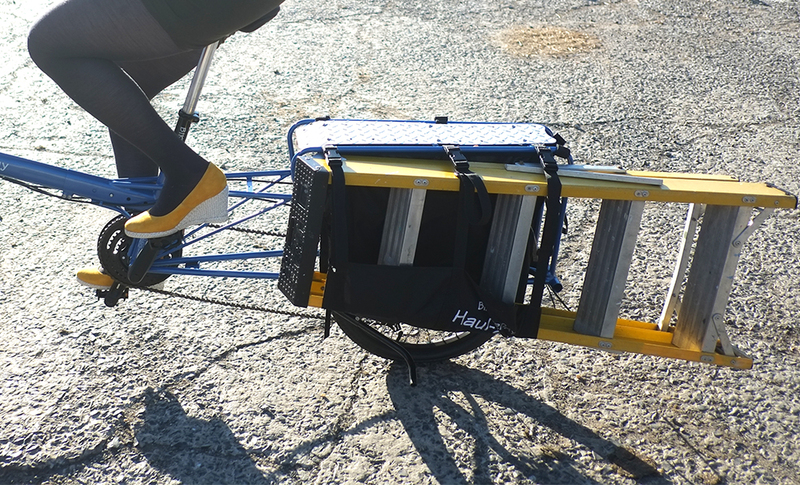 The small-wheel "unitube" construction also means the Haul-a-Day has an exceptionally low stepover, making it convenient to mount and dismount regardless of what I am wearing and how high my cargo sits at the rear. This too was greatly appreciated, adding to the bicycle's overall accessibility. There are those who hate sensing any amount of frame flex on a cargo bike, and believe that, ideally, the bike should feel very stiff, even under heavy loads. If you belong to this category, you might find that the Haul-a-Day flexes more than you like when loaded to 50% capacity or more. Me, I'll take a bit of flex rather than ride a bike that feels "overbuilt" or "dead." Basically, I have a high tolerance for frame flex if it does not feel as if it saps my energy. And the Haul-a-Day's flex, when I felt it at all, was well within my range of acceptable. 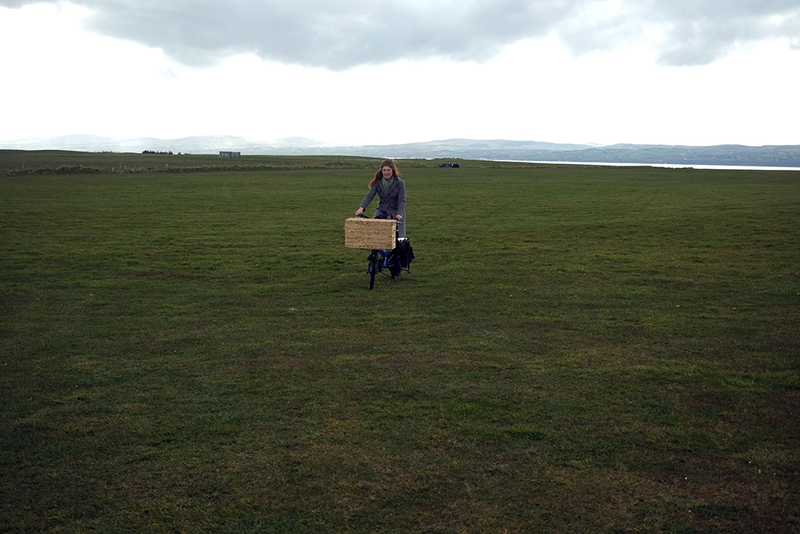 Finally, it needs to be said that, despite its ability to carry serious cargo, the Haul-a-Day also simply felt like a fun bike to mess around on - whether to race over grassy fields full of rabbit holes, or to steer though the woods. 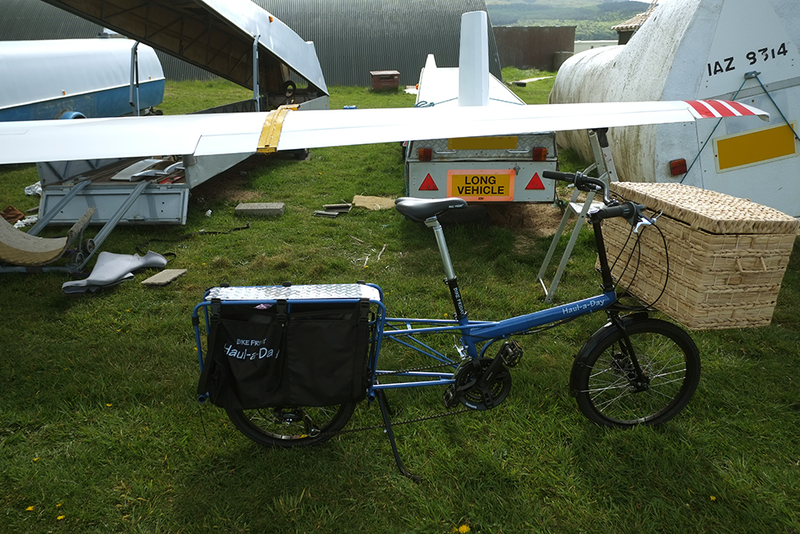 In that respect alone it is certainly the most enjoyable cargo bike I have tried to date. The half or dozen or so others who've tried it while the bike was in my position had a blast riding it as well, commenting on how much "easier" the bike was to ride than they had expected. Were I in the market for a new cargo bike today, I would choose the Haul-a-Day, even if the Radish model was still available. This may seem like an odd thing to bring up, but I found the carry platforms too shiny. The polished metal used is highly reflective, especially in direct sunlight, which soon began to irritate my light-sensitive eyes. This became a problem especially with the front platform once I removed the basket - since I had no choice but to look at it as I cycled. Had this been my personal bike, I would have to keep that platform covered with some sort of cloth at all times, or else replace it with a wooden one. In terms of aesthetics, I am not a fan of the standard selection of colours. The colours, despite their friendly names, are all rather harsh, industrial shades that bring to mind a selection of electrical tape in a hardware store, or road safety signage. Together with the geometrical truss-like construction of the Haul-a-Day's frame, they give the bike an overly technical, utilitarian look. Which is fantastic if you like that sort of thing. 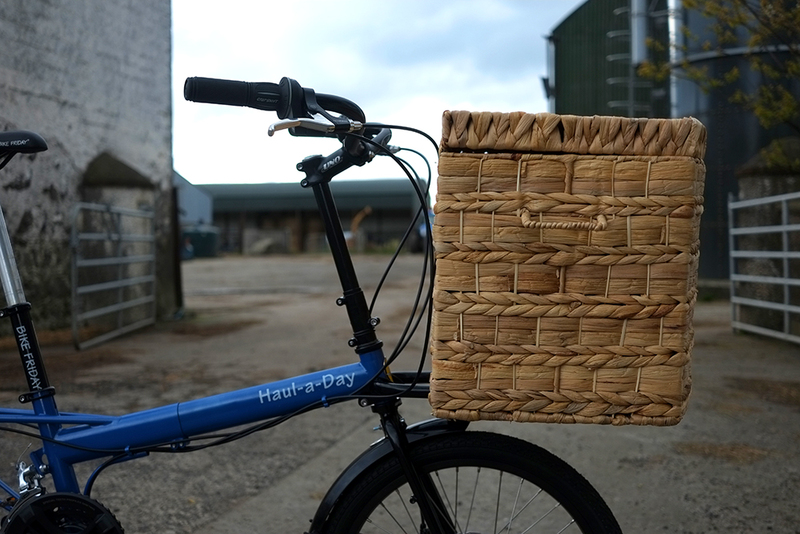 But for those of us who prefer bicycles with a softer, cuddlier, more muted aesthetic, the only way to go is custom colour (and twine, lots of twine!) - which is possible, but costs more and involves a longer wait. While I understand this aesthetic might be a deliberate reference to the Haul-a-Day being a practical work machine, I daresay injecting it with a little romance wouldn't hurt. But perhaps a more serious point to raise, is that the Haul-a-Day did not strike me as optimised for prolonged outdoor storage in harsh environments. While I kept the bicycle indoors overnight, the nature of my lifestyle and work rhythm means I am often out all day in the elements. And when I'm out all day, the bike is out with me - leaning against a fence here, locked to a gate there, as I go about my day. In short, the Haul-a-Day spent quite a bit of its time with me outdoors, being left for hours at a time in humid, salty air conditions, not infrequently under lashing rain. And after two months of this, hints of surface rust began to creep up here and there. I wonder in retrospect whether I should have treated the Haul-a-Day more like a roadbike than a bullet-proof utility bike. Aside from these things, it is truly difficult to think of issues that are inherent to the Haul-a-Day model, as opposed to the specific configuration I chose. 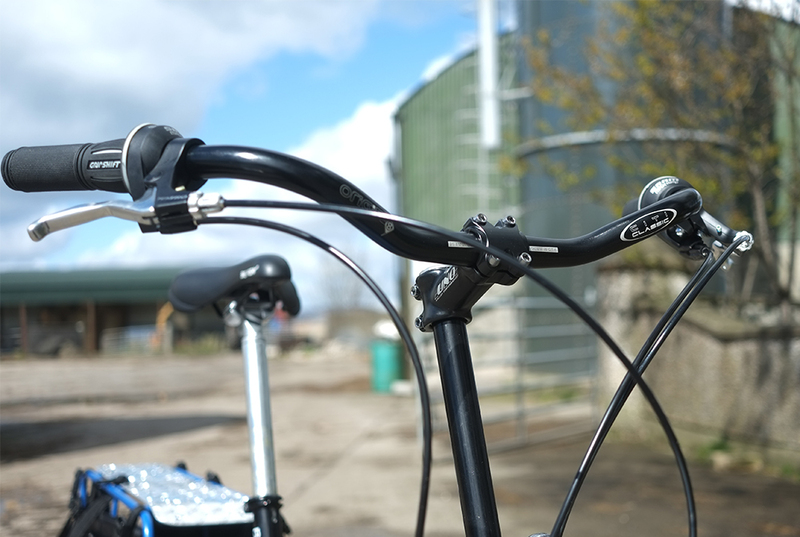 As mentioned already, the upright handlebars were (rather predictably, to be fair) not ideal for windy conditions, but the bike can be easily configured with drop bars. Likewise, on my personal bike I think I'd prefer v-brakes, compact gearing, and a different style of shifters (not a fan of the twist shifter) - which are easy changes to request, and I believe are available as standard options. Speaking of options. While the Haul-a-Day is available in several standard colour and build configurations, they can also basically do any custom build you want, within reason. There is so much variety in fact, that I have received a few reader requests to spec this bike as I'd have it built for myself, just to see what that would do to the almost too good to be true "starting at $1,190 USD" price tag. So I asked Bike Friday to indulge me in this exercise, and they graciously complied. As of June 2016 the price for this hypothetical build was estimated at $2,340.50. The estimate assumes custom built wheels with a Shimano Alfine DH-S501 dynamo hub, and B&M Lumotec IQ Fly Senso Plus/ Secula Plus dynamo lighting. It certainly increases the "starting at" standard build pricetag. However, considering what is included, I believe it is quite reasonable for a "performance" cargo bike with quality dynamo lighting. Typical lead time for a build is currently 6 weeks. On occasion there is also an inventory of stock bikes available which have a turnaround of 2-3 weeks. 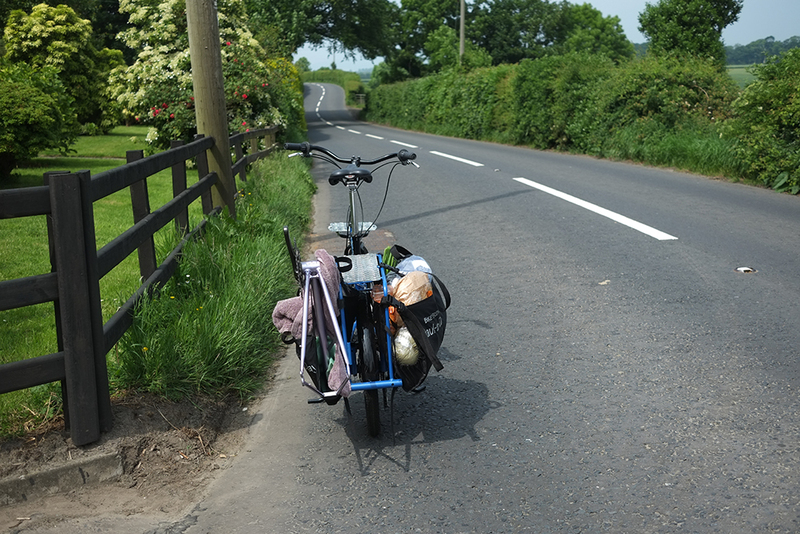 Since my move to Ireland, I have managed to survive 3 years without a cargo bike. Nevertheless, when the time came to send the Haul-a-Day back, I began to suddenly panic and wonder how I would ever make do without it. It's funny, how having a cargo bike around can actually change the way we do stuff - from the way we structure shopping trips, to the extent to which we rely on deliveries vs pick things up ourselves. Now that the Haul-a-Day has been gone for over a month, I am again weaned off cargo-bike-reliance (hah!) and can think with a clear head as to whether, and when, I would like to own one again. It is not realistic this year, but something to consider down the road for sure. And after my experience with the Bike Friday Haul-a-Day, I have no doubt that it would do the job splendidly, no matter the terrain and distance. The Bike Friday Haul-a-Day is far from a compromise between a cargo bike and a small wheeled bike. It is not even the best of both worlds, but, rather, more than the sum of its parts - with a degree of versatility, accessibility, and performance that goes above and beyond what either category typically offers. With profuse thanks to Bike Friday for this opportunity (it is a huge pain in the longtail to ship bicycles from the US and back, but they persevered! ), I shall bring this lengthy review to a close. Nevertheless, I am sure there is all sorts of crucial information I've missed. If you have specific questions, please ask in the comments - and thank you, as always, for reading! Painting the platforms would work too. But I think, were this my bike, I'd replace them with wooden ones. 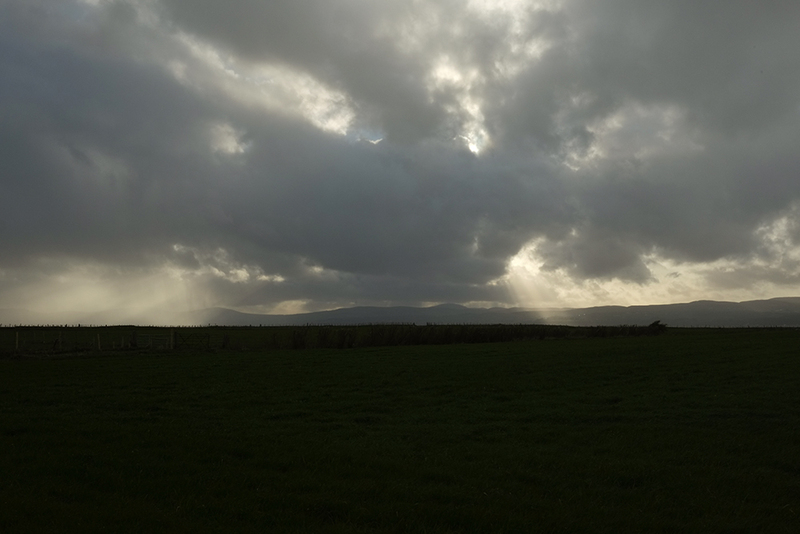 My Brompton (rather unexpectedly, I thought) has held up pretty well in these conditions. After 3.5 years it is long overdue for a serious deep clean and overhaul though! The Brompton is too long for me. Obviously I can still ride it quite happily, but the fit doesn't make me go Aaaah. First guess is that platform is bright galvanized. Galvanized just loves ordinary acrylic housepaint. If you want to be fancy use exterior deck paint. Or matte varnish. Of course it will get scraped up. Acrylic touch up is easy. Keep it simple, black or gray or off white. If you ever had trouble painting a galvanized gutter or flashing that's because there is residual form oil that is difficult to remove. Will assume Friday is not selling them oily. Ah - that makes sense. I definitely agree on the length (and I'm shorter than you, I expect). It has manifested for me as feeling unbalanced on the bike. I can't quite get far enough back to make my knees happy, but then I'm bending in a weird way to reach the bars (which are WAY too upright for wind). I'm not sure that makes sense written - but there you go. I do still like the little critter - but not for longer than about 5 miles! What's really awesome about this bike is that it could work as a cargo bike for children (albeit those a bit older ones), then being adjusted to fit a person as one grows up. It's becomes almost the only bicycle you will ever need. Almost. +1 on the suitability of V-brakes for bikes like this. I've got lots of time on Discs, V-s and Canti's on everything from big and small wheeled BMX, MTBs, a 3" tired 29+ Camping/Adventure bike and various traditional to modern Touring bikes. I've switched a few bikes from discs to V-s, added disc mounts to various old steel MTBs and some other dumbass contraptions. I've got multiple bikes with each type right now, all with lot's of miles in all sorts of weather and terrain. In my personal experience disc brakes are REALLY the Bomb on modern longtravel MTBs that you intend to hurl yourself at the scenery on(I think they are a particularly poor choice for loaded touring in the mountains which is where you might expect them to be at their best, especially for inexperienced riders who might not have the judgement to keep their speed in the green zone. Discs don't do their best work in situations where you need to use them repeatedly for prolonged periods of time) In every other instance they trade away modulation, fade-resistance, simplicity, lightweight(pretty low on the list admittedly) and freedom from maintenance for a seldom needed and difficult to utilize short-term increase in ultimate stopping power. I don't hate on discs, I just think they're ideal for a few bikes, useful on a few more and a poor choice for the majority. If V isn't flinging herself down gnarly singletrack on that Haul-A-Day than I suspect she really would enjoy the benefits of some well set-up V-Brakes. I love v-brakes. I am not ashamed. Tame forest trails suffice for now, thanks very much. I still don't entirely understand though how this bike is actually able to take twists and turns so nimbly. To the eye it looks too long to fit into some of the spaces in which it clearly fits; must be a visual illusion - the length seeming longer than what it actually is due to the small wheels. I get confused sometimes. Have noted that properly set up discs have lots of power. But logically the limit on braking is how much traction the tires get before skidding. It might take a lot of adjustment, and definitely some hand strength, but usually antique Phillips steel sidepulls can be made to skid either wheel. Modern brakes will get the same result with much less work. Do they stop any faster? They must do something, MTB guys do want them badly. Most 'powerful' brakes I ever owned were SunTour/Pedersen Self Energizing. The only use I ever found for all the power was locking the back wheel to tighten up the radius of a turn. Being able to lock up the back wheel with one finger instead of needing muscle to accomplish that did make it easier to control everything. It was also necessary to brake cautiously and not over-modulate. All the 'power' did not make the bike stop any faster. Now I am heading out for a ride on 60 year old centerpulls. I can lock either wheel anytime. I said 'properly set up' above because most owners and most mechanics in my neck of the woods don't and can't. When I test ride them most are just awful. I was also curious about the preference for V-brakes, mainly because I was under the impression that you get a lot of rain and that discs are better for stopping in the rain. I live in a very rainy area and have considered disc brakes for whatever my next bike might be. I find all rim brakes to slip in a very disconcerting way when the rims are wet. I have a Haul a day that I purchased from the kickstarter program. I love the disc brakes. On my commute I have a not very high but very steep overpass with a stop sign at the bottom. Even on my road bike my v brakes don't stop there in the rain. On my boda boda I had a drum brake installed when the brakes had to be replaced every 3 months. I liked the drum the best, but the disc works just as well. Pedersen Self-Energizing brakes! Now there's an exciting bit of kit! You'd get to what felt like the sweet spot, balanced right at the point where the tire was really digging but still seemingly taking it's orders from your white knuckled fist, when suddenly you found yourself FREE! Soaring high up in the tops of the trees looking down on your tumbling bicycle! I tried and tried but NEVER figured out what was the deal with them. They had SO much power but would lock up at the weirdest moments. I messed around with trying to tune them with different pads, straddle cable lengths, more compressible housing, less compressible housing, etc. I even tried a chromed Araya 7X rim thinking the lessened friction coefficient of the plated rim might help. I gave up and took them off the front and left them on the back as a steering brake like you. Then I took them off there and threw them in a box. I E-bayed my last set a couple years ago for $30. I'm sort of conflicted about disc brakes these days. I like em' ALOT on MTBs where I'm Hooning around the woods and really need to be able to bring things to a halt in a bike length. But those situations aren't high speed situations, they're more likely slow to moderate technical spots where you find yourself dropping and rocking and are more or less wrestling your way over the worst stuff as gracefully as you can. I don't think that describes what people do on Cargo-Bikes or touring bikes or especially road-bikes. If you need to stop that quickly on a bike with 30 pounds of Groceries or 45 pounds of 2nd Grader than I'd like to suggest that maybe you let yourself get farther into a situation before braking than was best. Super powerful brakes tend to encourage one to ride that way me-thinks. No brake is enough brake to get me out of every jam I get myself into and a super powerful brake increases the chance I'm going to exceed the tires available grip, ESPECIALLY since that power always seems to come at the cost of control-ability. You wouldn't drive a car around in a manner that required hammering the left pedal just getting across town(and bikes stop better than cars at low(for cars)speeds) so maybe just slow down a few yards sooner. My biggest source of self doubt about this Sermon comes from riding in the rain though. There is no denying the superior stopping power of discs in the rain, BUT(and I always have a big but), that's also the situation where the available grip is the easiest to exceed in a world covered in painted lines and spots of automatic transmission fluid and Taxi Driver barf. I don't know what the best answer is, but I prefer using rim brakes and riding within their capabilities in the wet. The rest of the time I find rim brakes more than capable of anything I wanna do on non-MTBs. To answer your question, I have never-ever had a problem with the way v-brakes perform in the rain (or snow, back in Boston). Again this is not to dismiss others' experiences. But my own preferences are based on my own experiences, and I am very satisfied with the way v-brakes have performed for me on a variety of bikes in extreme weather and terrain conditions. To bostonbybike - If I recall correctly, you have kid(s) who might almost be old enough for this - so I am curious whether they'd actually be willing to ride such a bike. I was a bit disappointed to discover that most kids I know find folding bikes uncool and would not want to be seen on one! My son is 5 and unfortunately, doesn't show much interest in riding his own bike so far. Whenever asked, he's reply is "I like riding with you", meaning - on my Xtracycle. The Edgerunner made my kids lazy!!! Interesting that most kids find folding bikes uncool. That's what I had in my childhood. The industry made kids too demanding. My Xtracycle came with hydraulic disc brakes and I can't picture anything else on a bike like this. Going down a 10% grade with two kids and grocery bags you would quickly appreciate powerful brakes with good modulation. Ha yes, you will now have to wean the kid off cargo-bike-passenger mode! There should be a bicycle-centric parenting book covering situations like this. That situation with the short steep hill with stop sign and intersection at the bottom is ticklish. Those can be difficult in a car. They are treacherous on a motorcycle. On a bike? In years past, when cars and trucks leaked a great deal more oil than they do now, I would assume there was a big fat oil slick right in front of the stop sign. There often was. So I dismounted and walked as a matter of course. And you seriously do not know that there is not an oil slick. Maybe a '64 VW or an '83 Fleetside went through two minutes ago and left you a gift. The way to do those short grades is to control your speed from the top. And be ready for anything. Having disc brakes will not matter when your tires lose grip. Imagining that tech is going to save you when you approach the stop too darn fast will work now and then, when it stops working you go down hard in the wrong place. And don't even consider carrying children in such a situation. Not on a longtail, not in a bakfiets, just don't do it. The way to do those short grades is to control your speed from the top. This is my tactic also. Some people I've ridden with mock me for it, but I really don't care; I prefer to be mocked for "riding the brake" but alive. I thought you were a sensible young lady. I usually don't count it, because it was all so very odd, but I did win one criterium. There was a fast downhill turn with a nasty oil slick and then it started to thunder and lightning and pour rain at the starting line. I dismounted every one of thirty laps. Two hundred guys started that race and only six finished. The other five had all crashed more than a few times. None of them finished on the bike they started on. The five of them complained to the referee that I had cheated. The referee looked at them and said "You just told me you're as dumb as a box of rocks and this guy you don't like is smart. Smart wins races." Keeps you alive too. Are you really sure it's high-trail? Those tiny wheels combined with the 73° head angle are basically guaranteed to make it low-trail. I had a lot of trouble finding the fork offset for Bike Friday's bikes, but the new work tourist has 42mm. The stock tires for the Haul-a-Day are ~45mm, and all that would yield 46mm of trail, which is certainly not high. I know the Haul-a-Day has straight fork blades, but they definitely go forward at the crown to provide some offset. Maybe your love of the front load is because of the geometry, not in spite of it. The 75mm trail figure int he review is the figure they gave me, and I didn't second guess it. But you make a good point and I'll ask Bike Friday about this. A quick CAD sketch gives me 41 mm of trail for 2.35" tires on 20" (ISO 451 mm) wheels, a 73º head tube angle and 44 mm of fork rake. I was thinking the exact same thing as the commenter above, RE: the shiny platform. Looks like it's just simply bolted on to the rack. Shouldn't be much of an issue to take it off and hit it with a bit of spray paint to dull it down a bit, or maybe scuff it with some steel wool to take the shine off. The glare coming off of that polished surface would irritate my eyes too, so that one issue actually really stood out to me. Also, losing the gripshifters would be one of the first things I would do. I just don't care for them at all. Aside from disliking the action of them, I also find that they tend to be pretty much junk, quality-wise. 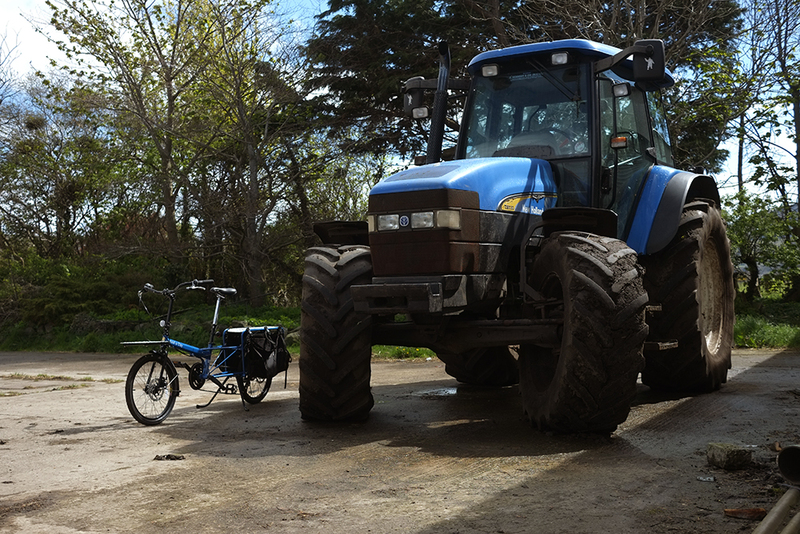 That big blue tractor would look great with a bike rack affixed to it, with the matching Haul-a-day mounted up! There's another project for you, an LB "collabo" with New Holland, haha. Ooh I will need to access the full-resolution original on my external hard drive or else go visit the tractor "in person." My tentative guess is: Michelin man? The Gaelic Wildman is only spotted late in the evening, wandering the Irish countryside after a few pints down at the pub. It is my understanding that he takes farm equipment for joyrides. The Michelin man has a name. He is Bib. From the early advertising campaign in which he holds aloft a goblet of broken glass and proclaims "Nunc et Bibendum". And leaving lots of crumpled Galois butts, too. Can't forget those. I am not looking to add a cargo bike to my stable, but I enjoyed this review. I was not aware of the Burleys trailer connection. It does make a lot of sense. Bike Friday has made a great bike for an unbeatable price. After your previous write-ups, I tracked down a local dealer and tried one of the stock models- very much like your stock 3x8 test model, in red like Somervillain rides. While it did not have any of the rear rack hardware installed nor the front rack, I got a good feel for the steering, handling and braking while riding it up and down the steep bluff roads above the Mississippi near the dealer's shop. I liked it a lot! 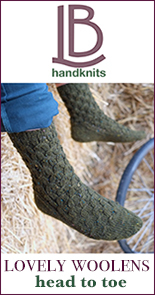 Enough that I am considering a late winter/early spring order. The local dealer uses a Bionx-equipped Haul-a-day as the everyday commute bike, carrying their young daughter and infant son around. He has some very practical advice for fitting and set-up. (and spares if you want to try different bars including the BF demountable ones.) I like the idea of drop bars, but will take the suggestion to try it with standard north roads and take it from there. 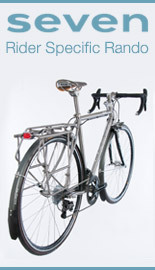 Note that BF has an option on their online bike builder to powder-coat the rack plates to match the bike color. This might be an option for the non-DIY folks. Which of the available colors might you like, V? I am liking the Glacier, the Sugar Plum Purple (it reminds me of the Bianchi folding bikes we both like), and the Racing Green. The stock Red color is nice, if you like reds. Too bad no sage green-grays are currently offered. I like Glacier, Sugar Grape Purple, and (believe it or not) Gaylynn pink! Heh. I could see the pink. I got a good laugh out of the custom "Good-N-Plenty" colored build. I would have loved to see this typeface for the decals. As for the rust, can you tell me if the areas that showed corrosion were parts like bolts and such, or on the BF-manufactured components like the fork and frame parts? With so many adjustable assemblies, there is a lot of surface area and open edges that can be affected by moisture & salt. I intend to ask the dealer about this, as we do get pretty strong rain & snow, and there is lots of road salt in use. If I do get the bike, it will stay in a covered 3-season porch for the first year. Oh, and anonymous 12:24 below- yep, you're right about wood sealers. I know better but misquoted myself. ;) I have a little experience with finishing and wood prep. Surface finishes do not waterproof wood. When the water finds a way in, and it will, the finish acts to keep the wood wet. What you want is a sealer. My suggestion is Seal-Once or the private label cognate, C2 Guard. May be topcoated with any surface finish you like. Also spar varnish is quite soft and will get tacky in hot sun for years after application. There is a reason yacht builders use 20 coats or more when they use spar, as well as an array of driers and secret ingredients. 20 kg of bike plus 50kg of cargo powered by a 60kg rider. Just wow. Sherpas are not expected to carry their own body weight, though some can. Female Sherpas usually work at about 2/3 body weight. Non-Sherpa who can manage picking up a backpack that weighs as much as they do are not likely to go far up a 14% grade. Most persons in good health can manage a lot of weight in a wheelbarrow or a cart. Getting said cart up a 14% winnows the field. Low low gears do make feats somewhat possible, Gravity is not repealed. And the bike requires sufficient speed to maintain balance. I've no idea if you are traveling at 2 mph or at 3mph uphill, either way it is a lot of power. I used to ride with 50kg of cargo. My rig only weighed 14 or 15 with racks and bags. The personal motor was then 80-85kg. Experienced cyclists, successful racers, working messengers told me there was just no chance I was getting up the hills in San Fran and I proved them wrong. But it was hard work. Everyone who saw me do it was impressed. As I am impressed now. I can also tell you that when trucking 50kg uphill on a largely conventional bike with primarily rear load handling is not a meaningful term. Keeping the front wheel on the ground takes considerable effort. A little bit of 'wander' sounds perfectly reasonable. I do not understand as much as I would like about the physics of rolling weight, and the effects of factors such as gradient, gear ratio, weight distribution, rider strength, etc., on the process. But experience has shown me that there is more to it than simple math. Off the bicycle, I am not especially strong. I cannot comfortably lift my own body weight, let alone walk with it, even along a flat surface. This does not translate to my ability to ride a heavy bike and propel it up gradients. Again, without understanding the physics of it, I cannot intelligently comment on why that is. But I suspect it goes beyond the walking vs rolling thing, and implicates factors such as the bicycle's long tail design (which is specifically optimised for carrying cargo without noticing the weight), the weight distribution of the cargo, and the fact that my body over the years has become "customised" for cycling (not walking with a backpack, and not pushing barrels) up hills. 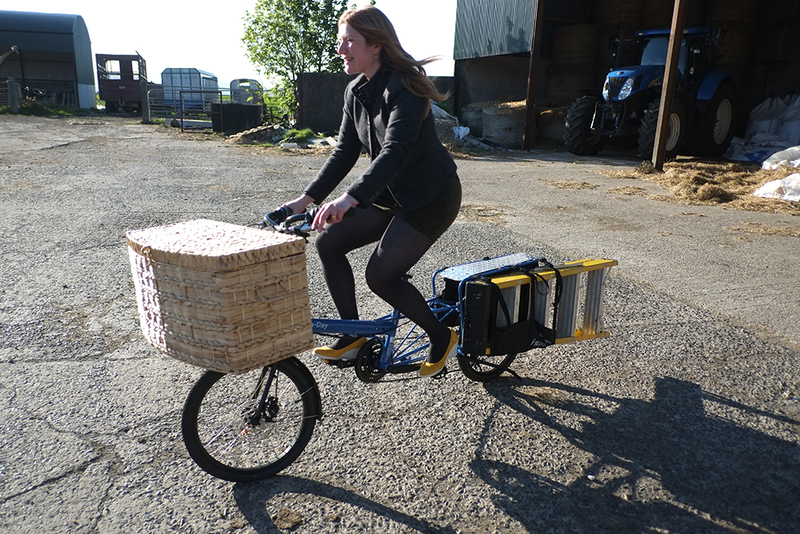 Question: have you tried a long tail cargo bike loaded with 50kg of weight? If you're still in the SF area, there should be opportunity to do so. I'd be curious to know how you find the experience compared to the same weight on a standard bike. To be clear, my experience of riding the loaded Haul-a-Day up steep hills was not easy-breezy. But then the feeling of climbing almost never is, even on a lightweight roadbike ("you just go faster"). But it was doable. And that fact alone impressed me. One thing I should add as far as the front-end weaving and keeping the bike balanced at low speeds, is the importance (for me) of the "escape factor." The Haul-a-Day's ultra-low stepover and flat pedals made me feel confident that, were I ever to feel myself losing control of the bike I could simply jump off within a split second, no harm done. This kind of security made the "scary" aspects of the uphill handling a lot easier to deal with. On a roadbike, I would have unclipped, dismounted, and walked my bike the rest of the way up at any sign of weirdness, as I am pretty risk-averse. But on this bike the risk felt to be entirely removed from the equation. My experience (and I believe there is solid research on this) is that it takes less energy to move yourself up a steep grade on a bike than it does to walk it, particularly if you have low enough gearing to move comfortably at slow walking pace and if you can do so seated. Adding cargo to that...it requires energy just to hold weight, even if you're not lifting up. By having weight on the bike, you don't expend the energy that holding requires and just have to input the energy to move it uphill. Put that all together and I think the work to move a set weight up a hill by bike would be significantly easier than carrying that same weight uphill. On the stability issue, on a standard bike, cargo tends to sit right over the back axle. When you add the slope into the calculation, often that cargo is sitting behind the axle and you sometimes get a very light front end on the bike. I've also found long tail bikes to feel much more stable going uphill loaded than a regular bike. I suspect most of the reason is the weight distribution is more central and lower. Short physics: Gravity is a constant. There is no possibility of evading gravity. Bikes are generally better at conservation of momentum than Sherpa. On a 14% that barely applies. Note that on Mt. Washington (12%) bikes and runners make roughly the same speed. I am old now and hill climbing just goes away with age. Recently I have pulled a heavy trailer (a very efficient method of hauling) up a much more modest grade. 14% just wouldn't happen. Not a chance. In past I have done respectable times on Mt. Washington - 1:20 when in my forties - and am quite sure I'd have never left the start area if required to climb hauling double body weight. If the HAD can be balanced and controlled at very low speeds, say significantly below 2mph, and if it has gearing suitable for speeds that low - a quick look says it doesn't - then you might claim to be only ordinarily strong. Otherwise you might just accept the fact that you are unusually strong. Let me add that even in my old age I can still cruise a few miles at 25mph and sit comfortably in the pack at 30mph. The young lady should be much faster than that and I am expecting she will be soon. Just a matter of technique. 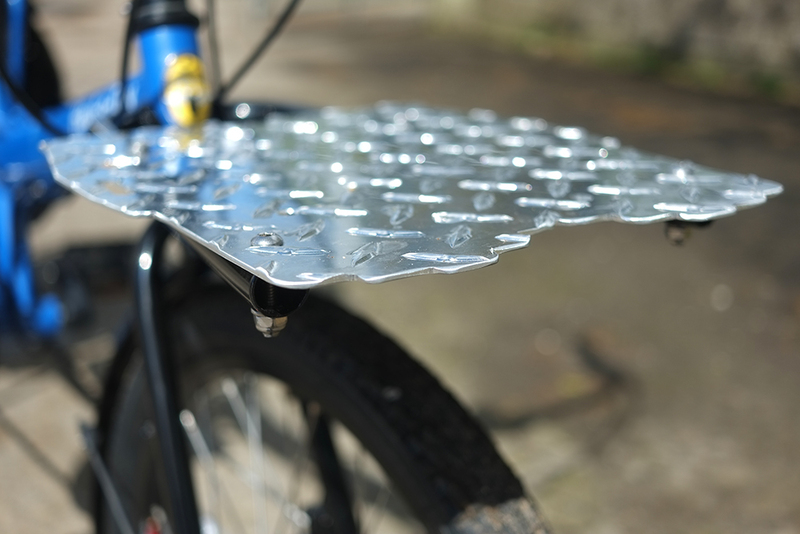 "My experience (and I believe there is solid research on this) is that it takes less energy to move yourself up a steep grade on a bike than it does to walk it, particularly if you have low enough gearing to move comfortably at slow walking pace and if you can do so seated." Many cyclists believe their bikes constitute anti-gravity boots. On a 7% or a 10% no one is going to dispute that bikes are faster. It is demonstrated daily. In a limiting case like Mt. Washington where times are within 10% whether running or riding a lot depends on who has effective technique. In any case the weight does not get to the top of the hill by magic. The cyclist gets to the top of the hill because the cyclist did the work. All of the work. The work is performed with more or less efficiency, the technical apparatus of a bicycle does not engage a tractor beam from Planet Mordor. Beyond light effects, I'll just ponder that that the front plate looks like a bit of a safety hazard to me. You could do some serious damage to a person or stationary object with that thing, even at slow speed, especially if it's backed by 100kg of weight. Wood would be marginally better. But I would want some kind of bumper on there, at least on the two front corners. Good point! It was not sharp to the touch, but at speed... well, let's just say I can imagine it used in a creatively gory film scene. It's interesting to read this review as cargo bikes in general seem to be gaining in popularity. I wouldn't say they're anywhere near entering the mainstream here but they are no longer weird! Personally I could only very rarely make use of one (and if I ever wanted to, I could borrow a trailer from my local club) but they're so... practical!... that I can't help but admire the cargo bike concept. As for trail, it's my understanding that more trail makes for a more stable, less twitchy, bike, and surely this is what you would want on a cargo bike? So surely long trail would be an advantage when loading up the front platform? Finally, as a review of whether or not this bike needs electric assist in hilly areas, I wonder how "neutral" you can be? You're clearly an enthusiastic and fit cyclist, whereas a cargo bike might, perhaps, try to appeal to people who aren't keen cyclists as such but just want an alternative to a car for shopping, school run (for instance, there's a woman up the road from me who takes two little kids around in a bakfiets and I don't ever see her "going for a bike ride" – she's not "a cyclist" just a mum taking her kids to school), etc, who might well benefit from that assistance where you don't need it. And absolutely finally, is there a way of putting a name to these comments rather than being Anonymous? Underneath the field where you enter the text, you should see a box with a "Reply as:" pull down menu of options - where you can choose "Name/URL" or an existing blogspot/wordpress/openID profile. I am one of the many categories of bicycle-riding persons who might find a cargo bike useful. Most other Haul-a-Day reviews out there already focus on child transport and the other activities you mention. The point of this review is to explore the other aspects of this bicycle's potential. For reference, despite my "cycling enthusiasm" I am first and foremost a transportation cyclist who does use a bike instead of a car. I cycle for transport in my ordinary clothing, usually on an upright bike, etc. There is no conflict between cycling as a sport and cycling for transport, one can be interested in both (see: Here). If you're interested in bakfietsen, etc., You can read all my posts about cargo bikes here - starting perhaps with this one. Thanks. I think I've tried "Name/URL" previously and it hasn't worked; I'm not quite sure what it means to be honest, does it require a URL? As to your other points, I agree absolutely on the compatibility of sport (or general leisure) and transport cycling, I'd say that a great deal of sport cyclists are also transport or utility cyclists, but it doesn't always go the other way round! As for boxbikes, no, I have no/very little use for one, but if only I'd known about them when my son was small. Fill in the Name field, leave the URL blank (it's optional) and click "Continue." If it still doesn't work, then - alas, blogspot is glitchy from some platforms, apologies! "If I need a cargo bike, it will be this." No comments yet about that interesting frame in the carrier. All shall be revealed in coming episodes. Thanks for the background story on how the Haul-a-Day came to be. 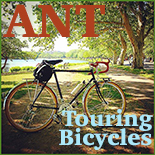 I appreciate the in depth approach to bicycle reviews. Looking forward to an Urban Arrow review on these pages! I will put up a test ride report of the Urban Arrow, but my experience with it was very limited compared to this bike. There was recently an article in Nature about several people's work on the "bike equations". There turns out to be a complex interplay between many factors, and you can't just consider trail in isolation. For example, “A sufficiently forward [centre of mass] can compensate for a slightly negative trail.” Maybe this goes some way towards explaining why heavy front loads can be surprisingly stable. Thanks, what an interesting read! I got a Haul-A-Day 3-4 months ago. We loved it! Used it to haul 2 kids (6 and 3) daily all around Brooklyn UNTIL yesterday the bike literally broke in halves. The outer part of the telescopic frame ripped a 2 inch gash and the front of the bike totally separated from the back. Lucky for us we were stopped at a red light and no one got hurt. Had it happen while we were going downhill at full speed we could have all had serious injuries. I wrote to Bike Friday and hopefully they will investigate this issue as is seems like a pretty serious design flaw. In the mean I feel apprehensive riding another Haul-A-Day with my kids again. Stas got in touch with us through his local dealer and of course we are taking this seriously and taking care of him, building him a replacement frame section. A portion of our reply is quoted below. Of your type and vintage Haul-a-day, we have not seen this type of failure. We did see an earlier design fail in this way, but the design has since been modified. I am glad you were uninjured and if nothing else is comforting, at least this type of failure is difficult to result in an injury. Many of of here at Bike Friday use out Haul-a-days as transport of our kids. We are confident enough in the safety of the bicycle to transport not only ourselves but our young ones on the bike. One word of prudence as it relates to all bicycles, not just ours. It is valuable, at regular intervals, to check the safety of the components and frame. 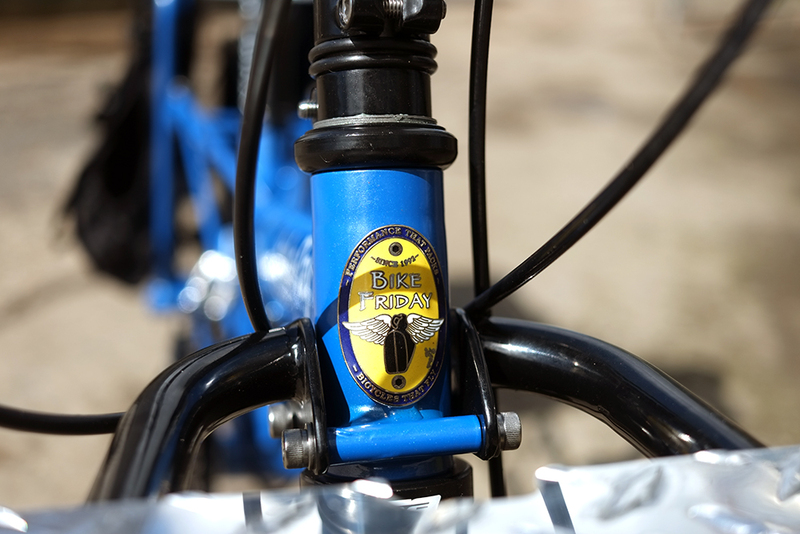 We recommend a brake/ handlebar/ stem riser/ and frame safety inspection as often as monthly. This will ensure that if an issue is developing, it is caught at the beginning of its cycle, not the end. As we use our bicycles for more utilitarian and people carrying functions, this inspection becomes even more important. In summary, this is an unusual failure and you should feel confident that the replacement frame you will receive will be safe. At the same time, it is a good idea to incorporate into your routine a monthly safety check of your bicycle. Bike Friday/Green Gear Cycling, Inc.
Am I the only one to smile at the picture of this extraordinaire tugging bicycle next to an airplane that says TUGG?